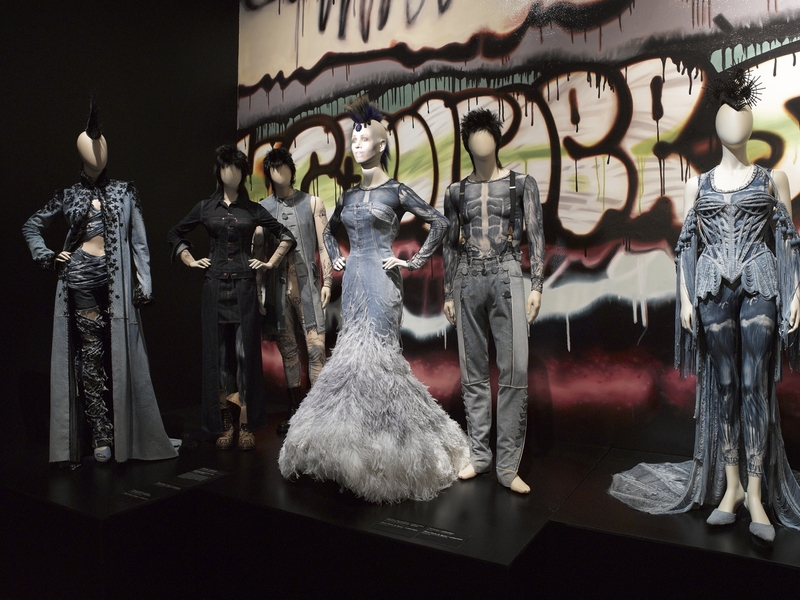 Having designed memorable clothing for celebrities and costumes for movies in a business that has spanned over 30 years, what could fashion designer Jean Paul Gaultier do to top such a celebrated and enduring career? 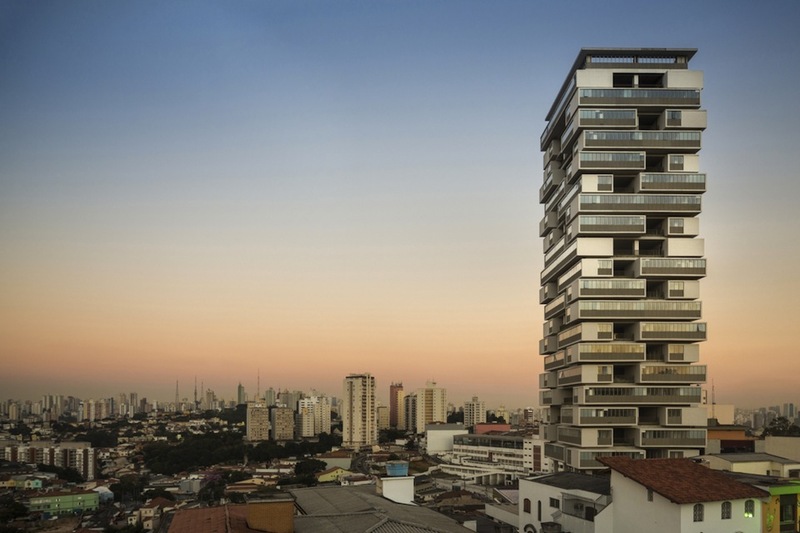 He has a multimedia exhibition displaying his legacy of his art, of course. 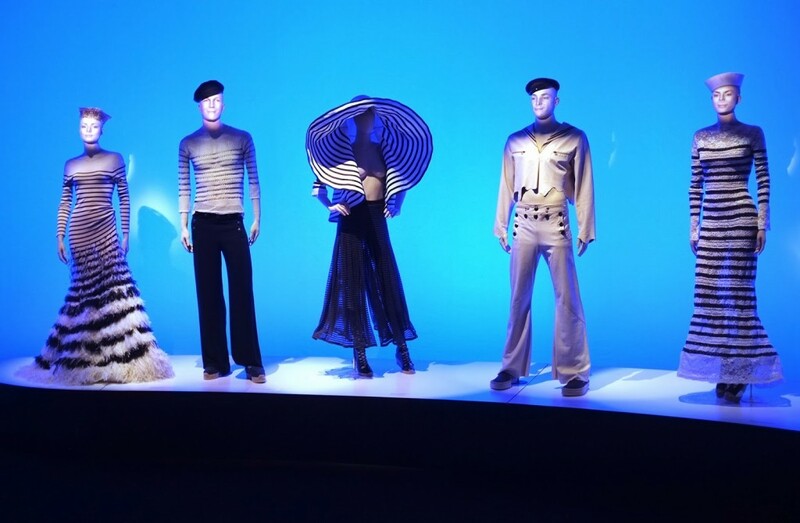 Gaultier’s exhibition The Fashion World of Jean Paul Gaultier: From the Sidewalk to the Catwalk is currently on display at the Brooklyn Museum. 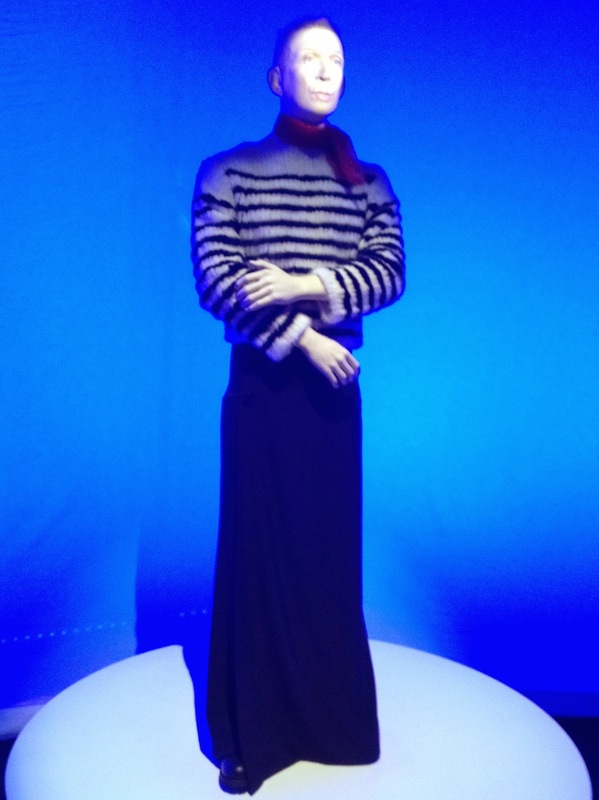 When arriving in the exhibition, a talking Gaultier mannequin welcomes viewers. He is decked out in his classic nautical top that is paired with a long pant-like skirt, a look that he adopted from the Parisian cafe workers. 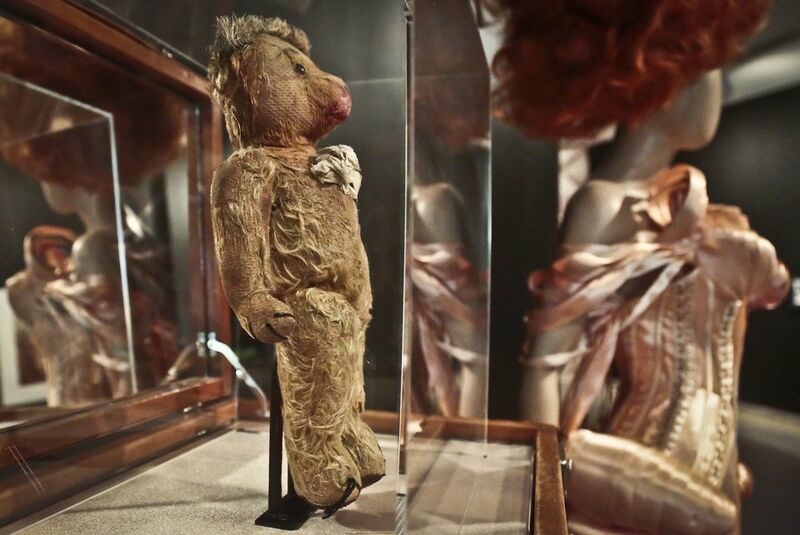 When walking through the exhibition, we see numerous themes including Paris, the cinema, his fascination with the punk culture, haute couture and prêt-à-porter collections, his collaboration with megastar Madonna, and his very first creation as a child that he designed for his teddy bear. What is exciting viewers the most though is the unique talking mannequins that speak and sing in English and French; they even alternate with philosophical dialogue and societal opinions. Upon entering each room, viewers are greeted with a new idea and theme. 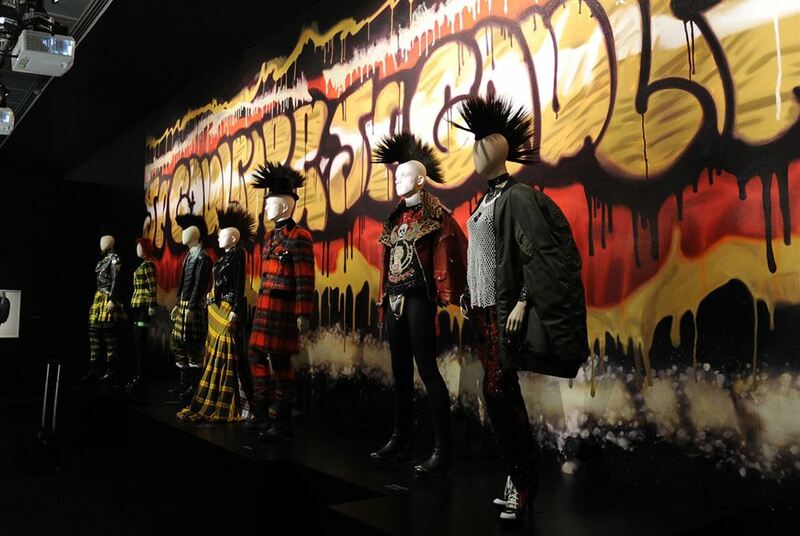 When in the punk themed room, viewers see mannequins whose attire is reminiscent of the 1970’s subculture – including mohawks, tattered clothing, destructed denim, chains and plaids. 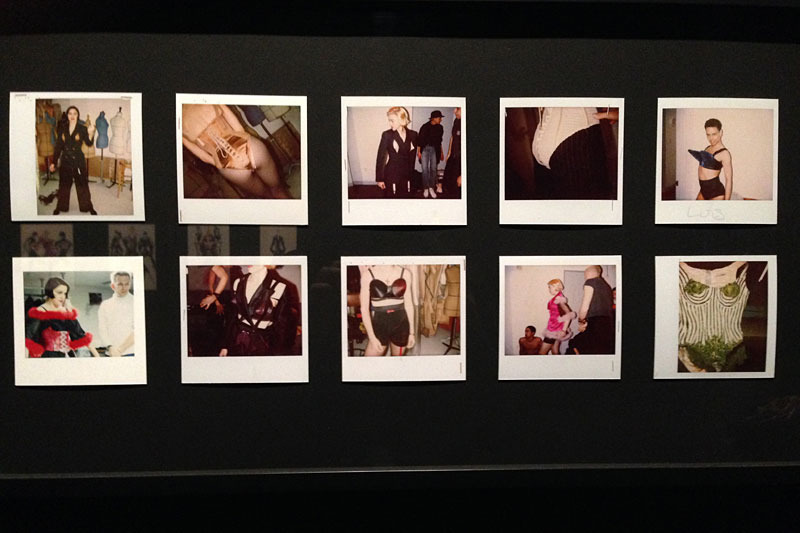 In other rooms we see pictures of supermodels Kate Moss, Naomi Campbell, and The Amy Winehouse Tribute collection from his Spring 2012 collection. 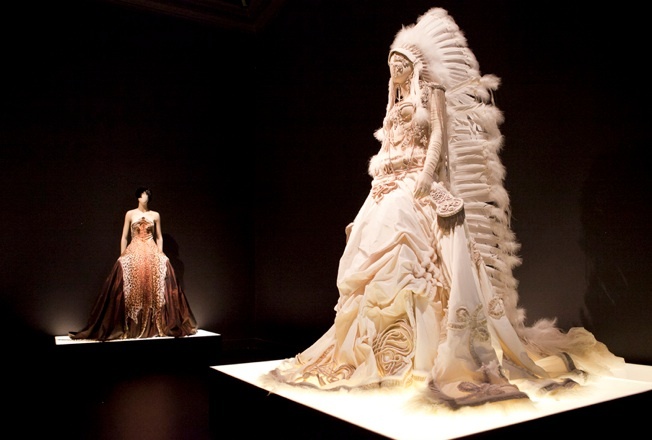 Other unusual designs include cage contraception’s with added headpieces and corsets, an Indian inspired dress, and African inspired dresses with ethnic faces designed as the bodices of the dresses. Complex beadwork, patchwork, embroidery is ingeniously scattered throughout each design. 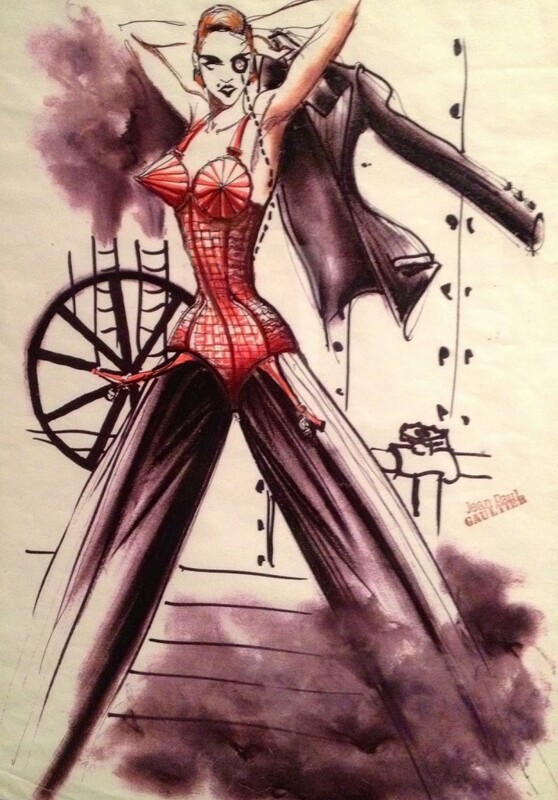 Even though this is Gaultier’s first time showing this collection on the east coast and in Brooklyn, it has received great reviews. 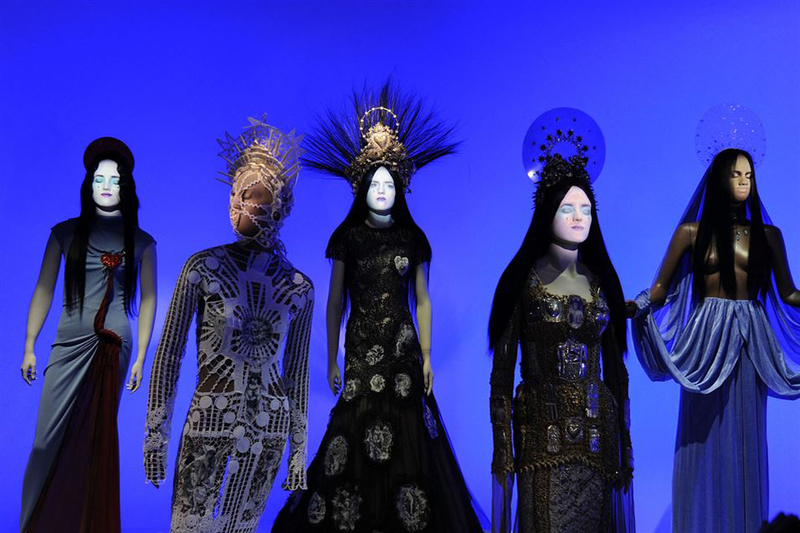 The exhibition is showing at the Brooklyn Museum from November until February 23, 2014, and in its sheer ingenuity, it surpasses innovation and imagination. 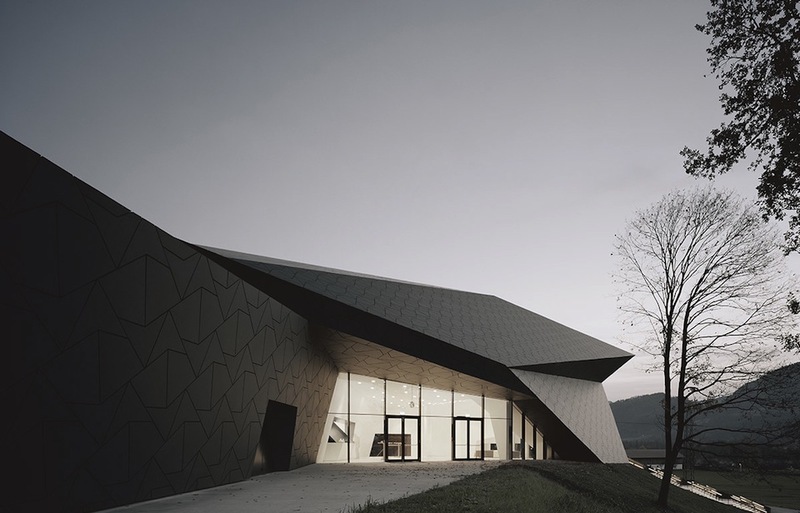 What may seem like a normal day at a museum will ultimately turn into a day of viewing awe-inspiring art, fashion, and undeniable talent.